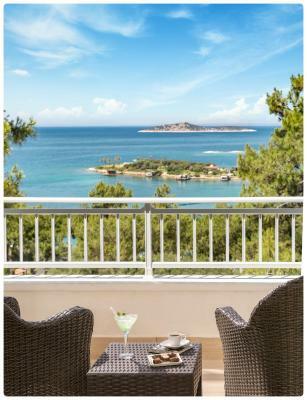 Lock in a great price for Rixos Premium Bodrum – rated 8.5 by recent guests! Location.. facilities.. very clean.. friendly staff .. a lot of activities. this hotel is the ultimate resort for a person looking to relax and remain in the resort. there are all kinds of activities, day and night, its couple, family and friends welcoming. there are 3 main buffets and everything else from snacks and drinks is also complimentary, unlimited. its clean and modern, i personally loved the swimming docks. the staff are super friendly and helpful, i was facing an issue and they helped my till the last bit , even using their personal phones to call international. the alacarte restaurants are also super affordable, its a set menu for a very symbolic price, def give them a try! i would so come back again and recco to everyone. its more than value for money! The staff, location were perfect. Overall our stay was amazing and we liked it very much. The place is family oriented and there were a lot of couples with kids. 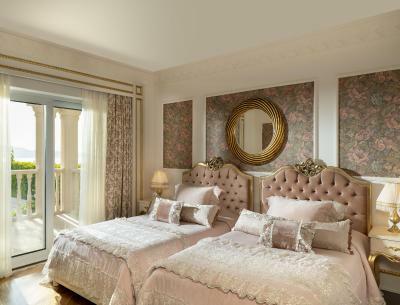 However, this place will do for couples who would love a quiet and romantic vacation. Very close to the city center, you can catch a shuttle to the city center for 4-5 liras. Animators at the beach were really nice and friendly, especially Tatyana, Enver, Omar and Olga. The staff was very good and nice, food and garden and spa were so good .. check in was very late but the room was nice . Literally everything. Even the open buffet was very delicious. 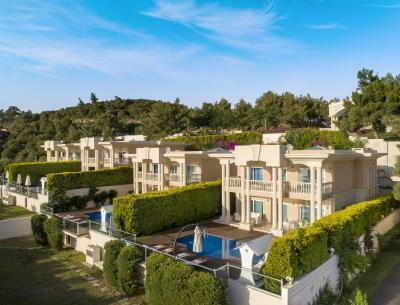 Rixos Premium Bodrum This rating is a reflection of how the property compares to the industry standard when it comes to price, facilities and services available. It's based on a self-evaluation by the property. Use this rating to help choose your stay! 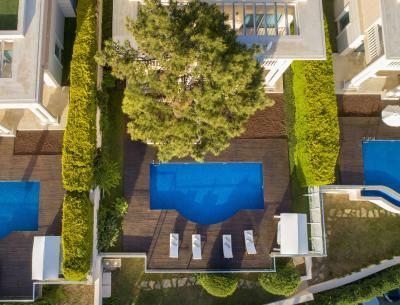 One of our top picks in Torba.Rixos Premium Bodrum features 2 outdoor pools and a full-service spa offering organic beauty treatments, a hot tub and gym. It is 25 minutes’ drive from Bodrum Airport. Set on 614 ft² of private land, this resort offers uniquely decorated rooms with floor-to-ceiling windows overlooking the surrounding pine trees. 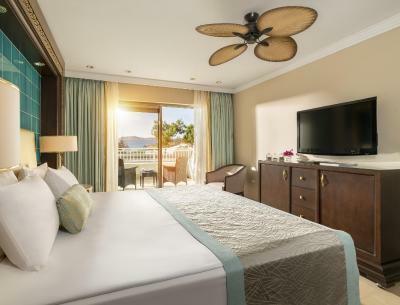 All rooms have air conditioning, flat-screen TV and a private balcony. Rixos Premium Bodrum features a variety of sports courts including basketball, soccer and volleyball. Guests can also unwind by taking part in yoga or professional dance classes. Younger guests can benefit from the big mini club that includes baby room, activity lounge, music room and cinema. The resort features 3 restaurants and bars with different concepts, all featuring international and local delicacies. 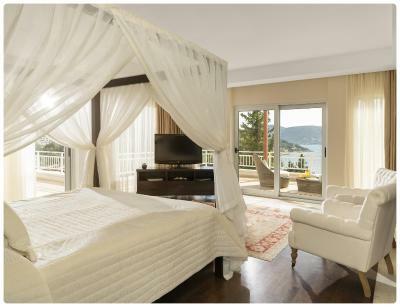 Rixos Premium Bodrum is 1.2 mi away from Torba. Bodrum town center’s cafés and local shops are 6.2 mi away. 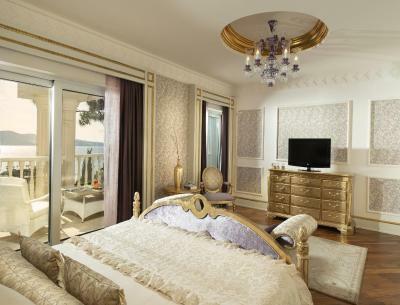 When would you like to stay at Rixos Premium Bodrum? This triple room has a balcony, sea view and electric kettle. This suite features a balcony, tile/marble floor and electric kettle. 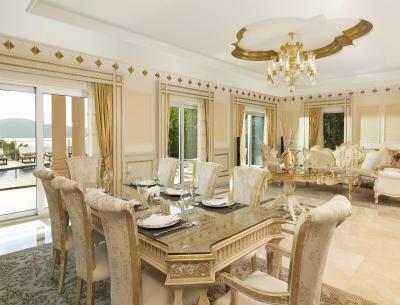 This villa features a tile/marble floor, electric kettle and air conditioning. This villa has a mini-bar, electric kettle and tile/marble floor. Are you ready to spend this summer within the private coves of Bodrum Peninsula? 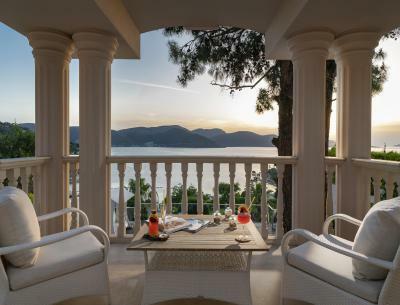 House Rules Rixos Premium Bodrum takes special requests – add in the next step! Rixos Premium Bodrum accepts these cards and reserves the right to temporarily hold an amount prior to arrival. Please note that Rixos Premium Bodrum provides airport transfer service at a surcharge. For further information, please contact the hotel after booking. Contact details can be found on the booking confirmation. Guests who want to enjoy à la carte restaurant should make reservations. Opening hours and dates may vary depending on weather conditions. Please note that à la carte restaurants will serve with a cover charge in summer season. WiFi wasn’t very good in certain parts of the property but was quickly resolved once it was brought to their attention. Staff go out of their way to ensure you are comfortable at all times. Hospitality unmatched! Fulya Yilmaz at guest relations and Rabia in the restaurant were outstanding at attending to all our needs going the extra mile on several occasions Property is massive but extremely clean and well maintained. Compliments to the manager Mehmet- you’re running a great hotel with an excellent team. Keep it up! I liked every single thing about it.I stayed there for 6nights and my experience was very nice.we did private transfer to view İzmir and it was very secure because driver was all the time with us(Metin Driver name very nice man) we were 2 ladies with 2 kids.It was lush. Some staff members not friendly. Rooms are quite old. Very nice location, beach, facilities. The cleaners could have done a much better job. The staff were extremely friendly and helpful! The food was exceptional all round it was a great holiday. Staff was very friendly. Food was excellent. Very relaxing ambiance. The location is great, 15 min from center of Bodrum. I booked a room with sea view and it was amazing! I it was full board and the food was so good! The stuffs were very helpful and friendly! I would really recommend this hotel and definitely will visit it again! The staff were very friendly. Turkish baths were amazing & the spa was relaxing. The kids club needs to be a bit more developed. Beautiful location, friendly staff, excellent entertainment night and day, very good quality for everything. We loved the place..